COMPlimentary Tasting and 10% off select vintages. Hours: Mon-Sun 11 am – 5 pm. Perry Creek Winery is approximately 120 miles east of San Francisco and 35 miles east of Sacremento. At Perry Creek Winery we specialize in Rhone varietals and Zinfandels grown at the unusually high altitude of 2401 feet. We are well known for producing outstanding Californian wines with a modern European twist. Distinctive and expressive with a touch of elegance are terms used to describe our small production, handcrafted artisan wines. Our goal is to leave your taste buds delighted and your senses satisfied in an unforgettable way. In short, our wines are made to dance upon your palate and awaken your spirit. We invite you to spend the afternoon visiting our tasting room, enjoying our current wine selections and creating a picnic lunch from our gourmet deli case. We offer several varieties of artisan meats and cheeses along with freshly baked baguettes. Our wine park and veranda offer plenty of picnicking choices to enjoy your freshly prepared feast. Don’t forget to check out our current events page so you can plan a trip to the winery with your family and friends. We offer several special events per month so there is always something fun and interesting to enjoy here. 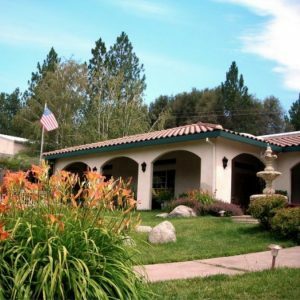 Perry Creek Winery is located in the heart of Fair Play within the picturesque Sierra Foothills in El Dorado County. We are producing quality wines from exceptional fruit that will stand up to any national and international standards. Our high Altitude averaging 2401 feet, variable microclimates, and diverse growing conditions allow us to produce distinctive wines with their own unique flavor. We source our fruit from our premium 30 acre Fair Play Farms Vineyard and our 13 acre Estate Vineyard, as well as other outstanding vineyards throughout El Dorado County. We meticulously groom the vineyards, drop crop, and starve the vines in decomposed Granite soil in order to produce rich concentrated flavors. Picking decisions are made primarily by taste with the help of some chemistry, selecting individual pockets of the vineyard to pick at a time. Our Winemaker Scott Johnson studied Viticulture and Enology at UC Davis and has worked in wineries throughout California and New Zealand, including Gloria Ferrer in Sonoma, Vineyard 29 in Napa, and Elephant Hill in Hawks Bay, New Zealand. He was born and raised in the California Sierra Foothills and is imparting his contemporary winemaking approach to the up and coming wine region. The complex, unique and elegant flavors representing Perry Creek Winery and Terroir have earned us 90 Points+ ratings in Wine Spectator, Wine Enthusiast and other numerous competitions. We strive for elegance in our wines by developing distinct California flavors with European style. All our wines at Perry Creek Winery are sustainably farmed and produced. We believe in a long term approach to viticulture and winemaking. Perry Creek is currently offering four exquisite wines for purchase on our Futures program. We invite you to visit the winery and sample our futures directly from the barrels! For more information on our futures or to place an order, click on the Wine Store.